Lumber Liquidators will pay $10 million to settle criminal charges with the U.S. Department of Justice regarding imports of some of its wood flooring. The company will plead guilty in violation of the Lacey Act, a conservation law regarding the protection of plants, fish and wildlife, for making false import declarations about the origin of the timber used in its hardwood flooring. "We are pleased to reach this agreement and resolve a legacy issue related to the Lacey Act," said John Presley, chairman of the company's board of directors. "We will continue to focus on strengthening Lumber Liquidators across every area of the organization and executing on our value proposition to improve operational efficiencies and deliver value to our stakeholders." The company said it will pay a $7.8 million fine, an $880,825 community service payment and $350,000 to the National Fish and Wildlife Foundation and the Rhinoceros and Tiger Conservation Fund. Lumber Liquidators will also forfeit $969,175, though the company hasn't specified who will receive the forfeiture payment. This is another bump in the road for the flooring company. 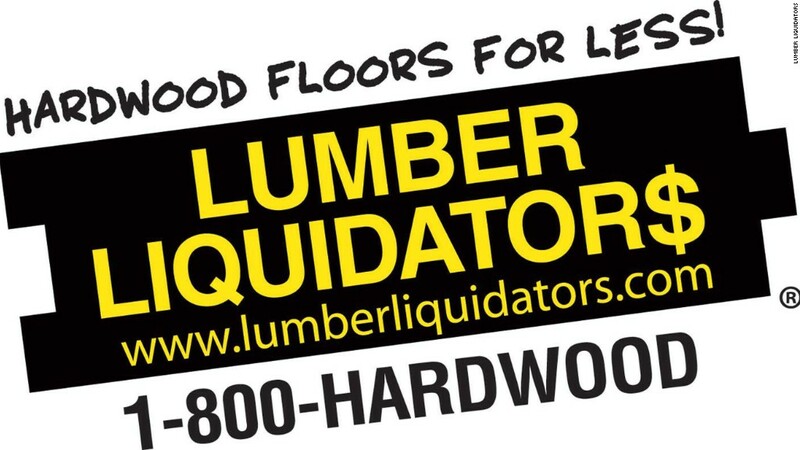 In May, Lumber Liquidators (LL) CEO Robert Lynch resigned unexpectedly amid ongoing investigations, which included the DOJ inquiry and other allegations that some of its wood flooring contained toxic chemicals, including cancer-causing chemical formaldehyde. The Consumer Product Safety Commission had previously disclosed its own probe into the possible health effects of the flooring. And the firm even halted sales of controversial laminate flooring from China. More than 100 class action lawsuits over floors made in China have also been filed against Lumber Liquidators.